There are quite a few things that are acceptable about this printer! However, there are also quite a few things that aren’t. It’s build volume is gigantic (10x10x18 inches), which is a significant plus! A larger build volume enables you to do more things (and cooler things too!). Also, it is fairly plug and play, with a really nice interface and Makerware making the whole process very easy. 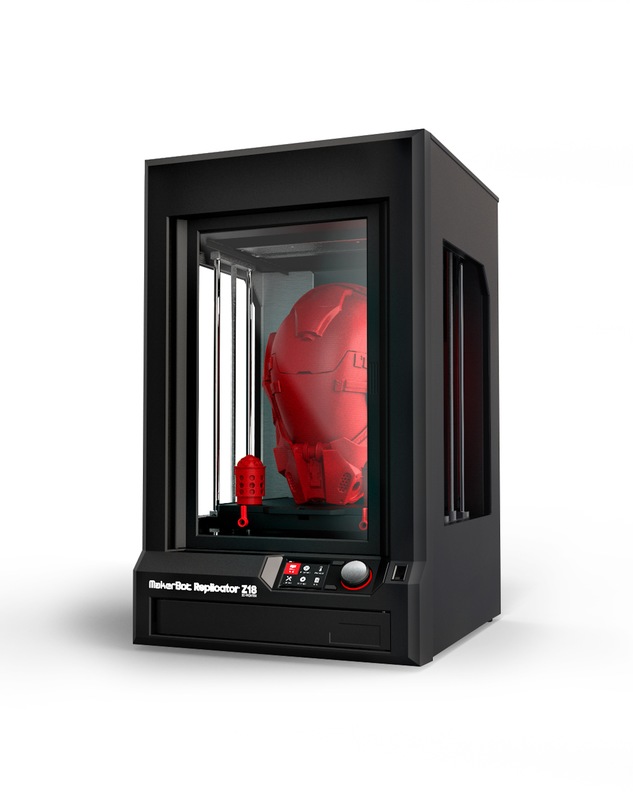 That being said, I really realized with Makerbot that you can compare 3d printers to the different makes of computer. Printers like the Up Mini are analogous to windows. Somewhat closed source, but customizable and fixable. The Makerbot printers are analogous to Apple computers. They have beautiful aesthetics, and the interfaces are really easy to use, but if something goes wrong, you just have to send it back to Apple and hope they fix it! That’s exactly what happens with the Makerbot z18. While it does print well, if there’s a clog in the smart extruder, you have to send the entire smart extruder unit in for replacement. Additionally, if your nozzle clogs outside the 90-day warranty window, you have to just buy another nozzle (About a $200 investment). Not to mention that Makerbot as a company isn’t doing so well, since they outsourced their manufacturing. Well, there you have it! I have 3 more printers to review (Mcor Iris, Hyrel Engine, Hyrel System30), so keep following the blog to find out what comes next!